Combine these great products with your new MoneyMaker! Heyo! Matt from HoldFast here! I wanted to personally thank you for purchasing HoldFast's flagship product, the MoneyMaker. I know it will bring a ton of value in your professional photography career and will last you for years and years to come. 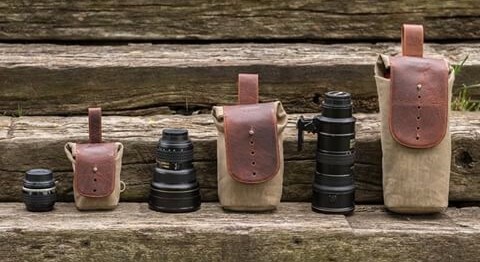 More and more I get asked if you can add different bags and pouches to the MoneyMaker to make it more versatile when you're out shooting on a long day. Now, generally speaking, outside of the HF bags and accessories, there are no bags that are truly designed to work on the MoneyMaker. This is why I have designed our bags specifically to be used with the MoneyMakers. Our bags and attachments are intentionally designed to hang high up on the body, out of the way of normal shooting, and within easy reach for fast access. In fact, all the closures of the bags and pouches are designed in such a way that you can easily grab them one handed, without looking. I also wanted to point out that even if you are only a one camera shooter, the MoneyMaker and all of its accessories provides the best and most adaptable experience out there. First off, one of our popular attachments is the Explorer Collection. Specifically designed to be carried on the MoneyMaker camera strap, giving you supreme balance and versatility at your fingertips. 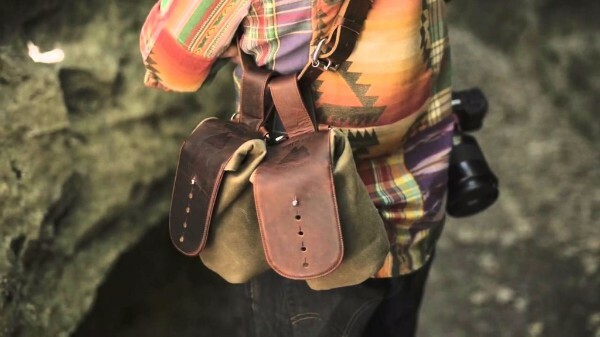 Consisting of 2 different sized pouches, a travelers wallet, a killer water bottle and a stand alone camera bag. This line is all about high function and a no compromise outlook towards build and materials. Our second option is the Sightseer range. In this option we have a large bag for carrying ALL your extra lenses or a series of different size pouches just for carrying a single lens and batteries. This line is all about adaptability, letting you scale up or scale back what you carry for each specific shoot.